Ouspecialists from a non-clinical to a clinical field will support your shortage in human resource to develop the pharmaceutical products. We support the development of medicine generally from CMC to non-clinical and clinical trials (pharmacology, pharmacokinetics, toxicity). 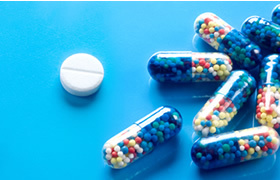 We also support the clinical trial or application of the medicine or medical device from specialist's standpoint. The staff with extensive experience and achievement will meet any needs in development. If there is any problem in the stage of development of pharmaceutical products or medical devices, please ask for consulting. Quasi-drugs, Combination Products (Drug + Medicine) etc. •Arrange Lab-testing with ISO / IEC / JIS test etc. introduction product in the stage of consideration. trials, we can support you in any sorts of documents preparation. thorough and accurate checking by staff before the delivery.